Madison Coupon Connection: $2/2 Nivea Lip Care Coupon! Great $2/2 Nivea Lip Care Coupon available on Facebook! 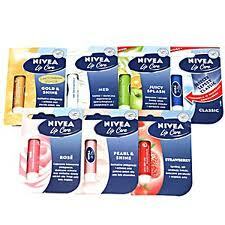 Simply "like" Nivea on Facebook to be able to print two "Save $2 off TWO Nivea Lip Care Products" coupons. TIP: To print the second coupon, after the first coupon is completely done printing, click your browser's back button, then click "resend". I plan to hang on to these coupons until I (hopefully) see these on sale for $1.00 each, again...to get four Nivea Lip Balms for FREE!